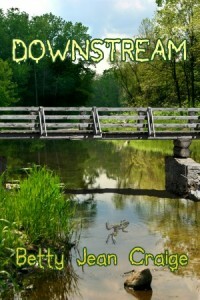 The following is a guest post by Betty Jean Craige, author of Downstream. If you would like to write a guest post on my blog, please send me an e-mail at contact@cecilesune.com. On Thursday, July 25, 2013, I was informed that the column I’d written for two years in the local newspaper of Athens, Georgia, was being discontinued. The column, titled “Cosmo Talks,” featured my loquacious African Grey parrot Cosmo and dealt with animal cognition and communication. It was non-fiction, as was my previous book Conversations with Cosmo. Well, there’s no way I’ll be a Terry Kay, I said to myself, but I can try to write a mystery. 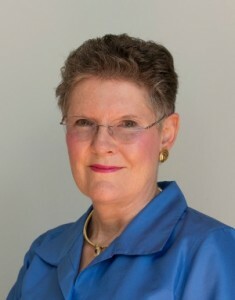 I’d read mysteries since third grade, when I discovered Nancy Drew, and after thirty-eight years writing scholarly books and teaching literature at the University of Georgia I’d returned to mysteries. I became interested in the genre of cozy mysteries, particularly those of the Canadian writer Louise Penny. Louise Penny sets her murders in a rural Quebec village called Three Pines, and she develops characters whom the reader really likes. I decided that I wanted to write murder mysteries and that I would set the stories in the southern Appalachian mountains of north Georgia. So that’s what I did. Between Thursday and Saturday I imagined a country town and populated it with characters I liked. I named the town Witherston after the character Francis Hearty Withers, a billionaire centenarian whose great, great grandfather had acquired great wealth in the 1828 Georgia Gold Rush in Dahlonega. Francis Hearty Withers credited his longevity to a drug he promoted called Senextra, which kept people alive and healthy well past the age of one hundred. Withers announced that he had written a will dividing a billion dollars among Witherston’s 4,000 residents–$250,000 for each—in gratitude for their support of a Senextra factory. When he was opposed by vocal environmentalists he got angry and vowed to change his will. He died mysteriously the next day. Who killed him, and why? The novel is more than a murder mystery, though there are dead bodies here and there. I took the advice: “Don’t write about what you already know. Write about what you want to know.” What did I want to learn about? I asked myself. That was easy: I wanted to learn more about the future of pharmaceuticals, the pollution of our environment, and the history of my state. So I learned about estrogen-based drugs, the Cherokee people who occupied north Georgia for a thousand years, the Georgia Gold Rush, the Georgia Land Lottery, the Trail of Tears, and more. As I wrote my story I’d realize that I didn’t know beans about something, such as wills, so I’d look up wills on the internet, and soon I’d know a bit about wills. Thus writing Downstream was a way to learn new things. And because Downstream was a murder mystery I had to use all the brain power in my head to create an entertaining puzzle for the reader to solve. When I finished, I realized that writing fiction was as informative and stimulating as non-fiction, and equally satisfying intellectually. Moreover, it was fun. Now that I am retired I want to have fun, so I have completed a second “Witherston murder mystery,” titled Fairfield’s Auction, and have begun a third. Dr. Betty Jean Craige has published books in the fields of Spanish poetry, modern literature, history of ideas, politics, ecology, and art. She is a scholar, a translator, a teacher, and a novelist.